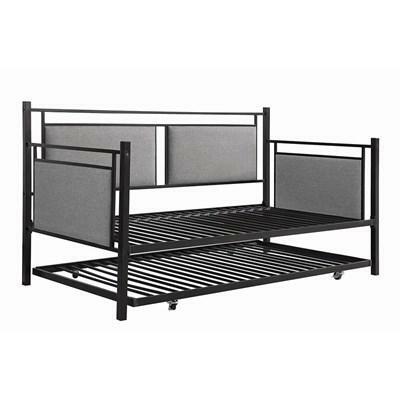 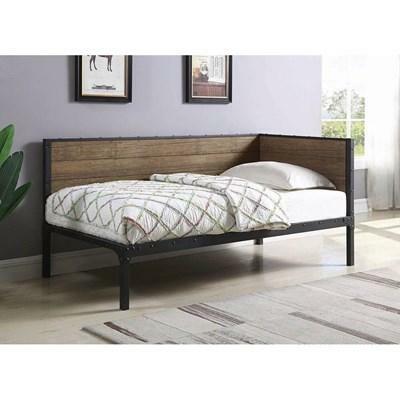 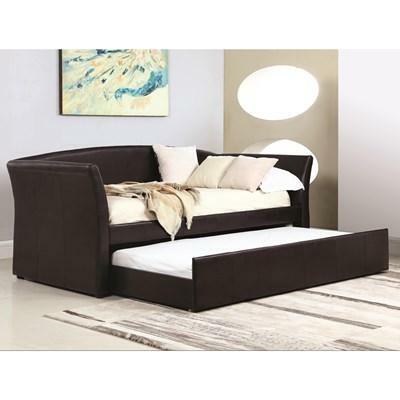 The Joelle Daybed with Trundle offers a steel frame in a black finish. 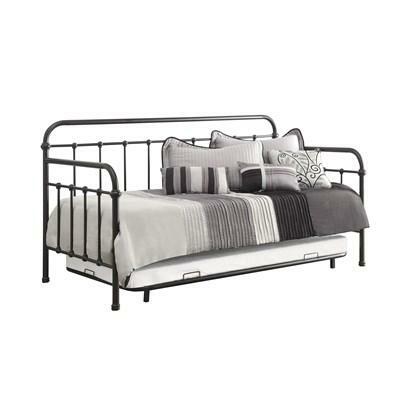 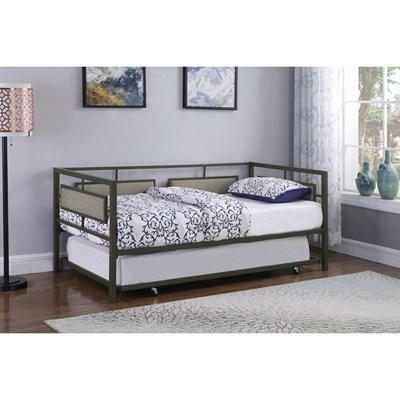 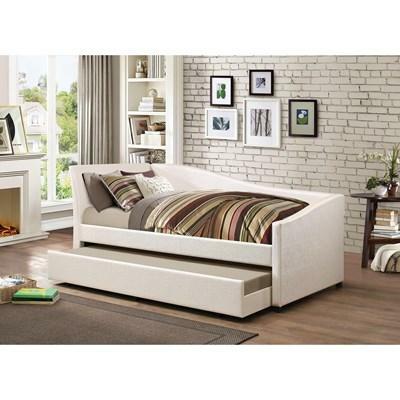 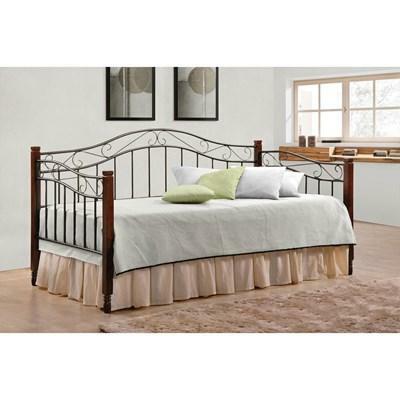 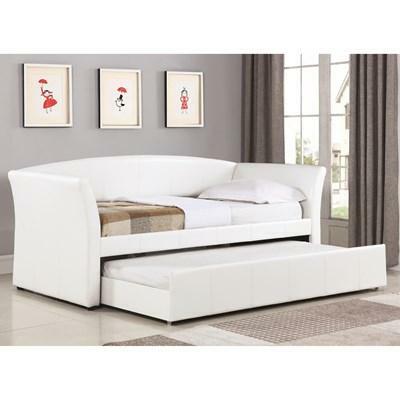 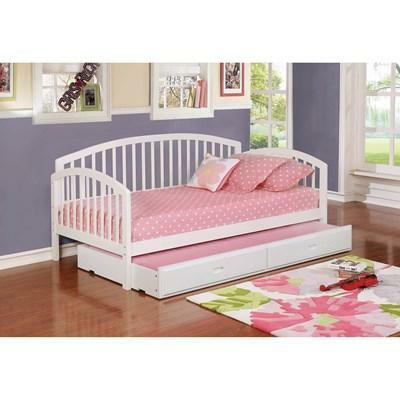 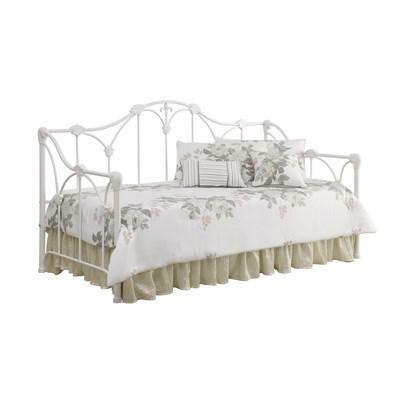 It features a back and side panels upholstered with grey fabric and bottom trundle. 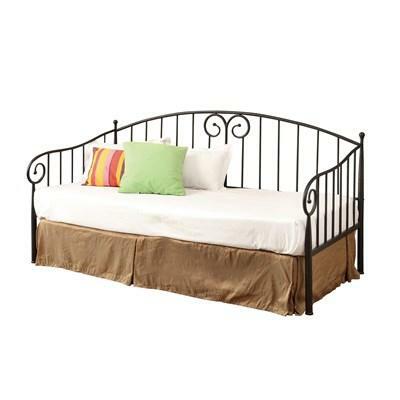 The Getler Daybed offers a steel frame in weathered black finish. 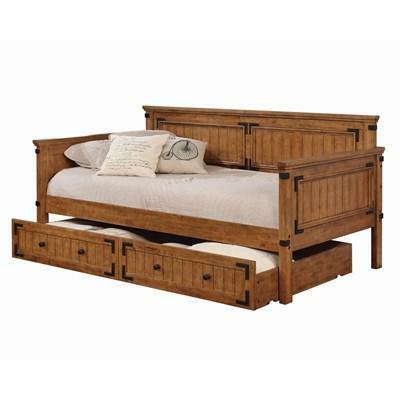 It features a back and side panel finished in weathered chestnut and is adorned with nailhead details.